Alan S. Go, MD, Regional Medical Director of Kaiser Permanente Northern California Clinical Trials Program; Associate Director, Cardiovascular and Metabolic Conditions Research at Kaiser Permanente Northern California Division of Research; Professor in the Departments of Epidemiology, Biostatistics, and Medicine at University of California, San Francisco; and Consulting Professor of Medicine, Health Research and Policy at Stanford University. 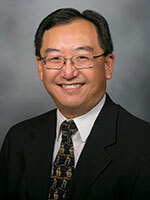 Dr. Go’s research interests include improving large-scale clinical trials within health care delivery systems, cardiovascular epidemiology and outcomes research, improving risk prediction, evaluating the role of wearable and mobile devices, atrial fibrillation, heart failure, ischemic heart disease, acute and chronic kidney disease, and optimizing prevention and treatment of cardiovascular and renal disease and associated risk factors. This ancillary project to the multicenter Chronic Renal Insufficiency Cohort (CRIC) Study will examine the incidence and associated predictors of episodes of acute kidney injury among a prospective cohort of adults with underlying chronic kidney disease, and the associated clinical complications. This is a renewal of the Chronic Renal Insufficiency Cohort (CRIC) Study Clinical Center at Kaiser Permanente Northern California and UCSF, which will continue long-term follow-up of existing participants with chronic kidney. The overall goals are to examine the links between different measures of renal dysfunction of a broad set of clinical and patient-centered outcomes, as well as prediction of adverse outcomes in the setting of chronic kidney disease. For adults aged 40 to 75 years, randomized trials provide conclusive evidence that statins reduce the risk of initial and secondary cardiovascular disease (CVD) events. However, there is limited evidence that statins reduce CVD events in individuals over the age of 75 who do not have clinically recognized CVD, and older adults may be at greater risk of adverse effects from statins. It is important for statin treatment of this age group to be rigorously evaluated in a randomized clinical trial. The primary objective of this pilot study is to understand recent patterns of statin use and the feasibility of conducting a possible trial on the net effects of statins in adults more than 75 years old without clinical CVD. This is a renewal of an ongoing ancillary study to the Chronic Renal Insufficiency Cohort (CRIC) Study to examine whether rates of loss of kidney function and subclinical and clinical cardiovascular disease varies among Hispanics versus other race/ethnic groups, after accounting for traditional risk factors. Among Hispanics with chronic kidney disease, this study will also examine the contribution of the metabolic syndrome, lifestyle factors, and patient-centered characteristics to the risk of adverse renal and cardiovascular-related outcomes. This ancillary pilot study to the Cardiovascular Research Network Heart Failure Consortium will evaluate the frequency and association of multiple chronic condition burden with clinical outcomes in adults who have diagnosed heart failure. This observational study involves a collaboration between KPNC, KPSC and UCSF that will examine clinical and patient-centered outcomes (recurrent VTE, hemorrhage, treatment satisfaction, and quality of life) associated with different lengths of anticoagulation therapy after an initial 3-month treatment course in patients with venous thromboembolism and explore whether there are differences by type of oral anticoagulant. This ancillary study to the multi-center Chronic Renal Insufficiency Cohort (CRIC) aims to leverage newer proteomic techniquest to identify novel pathways associated with cardiovascular complications in the setting of impaired kidney function. This ancillary study to the ongoing prospective Chronic Renal Insufficiency Cohort (CRIC) aims to examine the predictive value of different markers of tubular secretion compared with estimated and measured glomerular filtration for progression of chronic kidney disease, cardiovascular events and death. Within the CVRN-HF Network, and in collaboration with NIA-sponsored PACTTE consortium investigators, we will examine the following among a large, multi-center cohort of elderly patients with heart failure with reduced or preserved left ventricular systolic function: 1) to characterize the contemporary frequency of testing for and prevalence of anemia; 2) to assess the frequency, timing and extent of evaluation for reversible causes of anemia in those with documented anemia; 3) to evaluate contemporary adverse event rates by hemoglobin level; and 4) to examine the feasibility of conducting a potential pragmatic clinical trial of systematic evaluation of anemia in elderly heart failure patients. This ancillary project to the CRIC Study will examine the incremental value of selected biomarkers on top of patient and clinical characteristics to identify the subset of adults with chronic kidney disease at high risk for developing incident clinical heart failure or surrogate measures of impaired cardiac function. This multiple-PI proposal leverages our ongoing studies to address the following three aims related to acute kidney injury (AKI): 1) To evaluate the role of patient characteristics and practice variation in accounting for the drop in incidence of AKI observed among hospitalized patients within KPNC; 2) To advance our understanding of the epidemiology of AKI among non-hospitalized patients and how different management strategies in the ambulatory setting correlate with outcomes; and 3) To identify risk factors for recurrent AKI among patients with AKI in the ambulatory or inpatient setting. The aims of this study are to: 1) Assemble a cohort of KPNC adult and pediatric members with nephrotic syndrome and examine temporal trends in the epidemiology of nephrotic syndrome in adults and children between 1996 and 2012, including classification of potential causes. 2) Examine temporal trends in the evaluation and management of nephrotic syndrome in adults and children, overall and in targeted subgroups. 3) Assess predictors of developing nephrotic syndrome in adults and children, overall and by presumptive cause. 4) Characterize the short- and longer-term prognosis of nephrotic syndrome in adults vs. children with regards to renal and cardiovascular outcomes. This contract agreement with the FDA covers epidemiologic studies of drug safety questions identified by the FDA and led by KP researchers in Northern and Southern California. Examples of current studies include the cardiovascular safety of psychostimulant medications used for treating Attention Deficit Hyperactivity Disorder (ADHD), the effects of bisphosphonate medications on osteonecrosis of the jaw and and cardiac arrhythmias, and the safety of newer combination oral contraceptive agents. This is an ancillary study to the NIDDK-sponsored ASSESS-AKI Study that will conduct complementary analysis from a KPNC retrospective cohort and multi-center prospective cohort to examine whether an episode of acute kidney injury independently increases the risk for clinical cardiovascular events and the potential mechanistic pathways. The aims of this study are to examine outcomes associated with receipt of catheter ablation in adults with atrial fibrillation, including procedure-related complications as well as rates of long-term mortality, ischemic stroke, intracranial hemorrhage and hospitalizations. The project will also generate preliminary estimates of the cost-effectiveness of AF ablation incorporating long-term estimates of ischemic stroke, hospitalization and death. The FDA requires the ability to quantify product risks and test hypotheses based on signals of possible drug safety problems originating from adverse reaction reports received by the FDA, the medical literature, or from other sources. In addition, the FDA needs to evaluate the overall effectiveness of risk management programs as well as those for specific products and for risk management tools currently in use within these programs. The FDA also needs to evaluate the impact and effectiveness of its risk communications in changing behaviors related to the use of FDA-regulated products. Understanding the nature and root causes of medication errors is another area where collaborative research can benefit the FDA in meeting its public health mission. Our goal is to study outcomes and care processes associated with acute kidney injury. For the ASSESS-AKI portion of the study, the goal is to better delineate the impact of renal function trajectory by comparing different methods of assessing renal function over time, specifically comparing GFR estimated from ASSESS-AKI research data with GFR estimated from Kaiser clinical data on Kaiser subjects enrolled in ASSESS-AKI. This pilot development grant proposes to: 1) evaluate the available information in existing data resources related to multiple morbidity and aging-related variables through collaborations among HCSRN network collaboratives (e.g., CVRN, CRN, SUPREME-DM); 2) pursue up to 3 pilot analyses using existing HCSRN network collaborative project datasets involving issues among older persons with multiple chronic conditions; and 3) convene an annual conference to develop an agenda related to older persons with multiple chronic conditions. Renewal of Clinical Research Centers for the prospective ASSESS-AKI Study to extend follow-up of enrolled subjects with and without acute kidney injury. Ann Intern Med. 2006 Feb 21;144(4):229-38. N Engl J Med. 2004 Sep 23;351(13):1296-305. Anticoagulation therapy for stroke prevention in atrial fibrillation: how well do randomized trials translate into clinical practice? BMC Cardiovasc Disord. 2019 Feb 11;19(1):38. Epub 2019-02-11. Author(s): Bajaj A; Go AS; CRIC Study Investigators; et al. Am J Kidney Dis. 2019 Jan 24. Author(s): Amdur RL; Go AS; CRIC Study Investigators; et al. Am J Kidney Dis. 2018 Dec 10. Author(s): Bansal N; Go AS; et al. J Am Soc Nephrol. 2018 Oct 30. Am J Kidney Dis. 2018 Oct 10. J Am Geriatr Soc. 2018 Oct 02. Ann Intern Med. 2018 Sep 25. J Am Geriatr Soc. 2018 Sep 24. Author(s): Washam JB; Go AS; Piccini JP; et al. J Am Heart Assoc. 2018 Sep 18;7(18):e008928. Author(s): Jackson LR; Kim S; Go AS; Outcomes Registry for Better Informed Treatment of Atrial Fibrillation Patients and Investigators; et al. J Am Heart Assoc. 2018 Aug 21;7(16):e008764. Author(s): Jackson LR; Kim S; Go AS; Piccini JP; et al. J Thromb Thrombolysis. 2018 Jul 26. J Am Heart Assoc. 2018 Jul 07;7(14). Epub 2018-07-07. BMC Nephrol. 2018 Jun 22;19(1):146. Epub 2018-06-22. Am J Cardiol. 2018 Jun 21. BMC Nephrol. 2018 Jun 11;19(1):134. Epub 2018-06-11. Author(s): Durheim MT; Go AS; Piccini JP; et al. Author(s): Townsend RR; CRIC Study Investigators; et al. Hypertension. 2018 Jun;71(6):1101-1107. Epub 2018-04-30. Author(s): Bansal N; Chen HY; Go AS; CRIC Study Investigators; et al. Am J Kidney Dis. 2018 May 18. JAMA Cardiol. 2018 May 16. Author(s): Harhay MN; Go AS; CRIC Study Investigators; et al. Am J Kidney Dis. 2018 May 02. Author(s): O'Brien EC; Go AS; Hylek EM; et al. Author(s): Baumgartner C; Fan D; Sung SH; Go AS; et al. J Am Heart Assoc. 2018 Apr 14;7(8). Epub 2018-04-14. Author(s): Fudim M; Go AS; Piccini JP; et al. J Am Heart Assoc. 2018 Apr 13;7(8). Epub 2018-04-13. Author(s): Greenlee RT; Go AS; Sung SH; Masoudi FA; et al. J Am Heart Assoc. 2018 Mar 26;7(7). Epub 2018-03-26. West J Emerg Med. 2018 Mar;19(2):346-360. Epub 2018-02-12. Atherosclerosis. 2018 Feb 10;271:53-60. Epub 2018-02-10. JAMA Intern Med. 2018 Feb 05. Kidney Int. 2018 Jan 09. Am J Cardiol. 2017 Dec 14. Circ Heart Fail. 2017 Dec;10(12). Am J Kidney Dis. 2017 Dec 04. Ann Intern Med. 2017 Nov 14. J Am Heart Assoc. 2017 Nov 09;6(11). Epub 2017-11-09. Circ Arrhythm Electrophysiol. 2017 Nov;10(11). J Am Coll Cardiol. 2017 Sep 12;70(11):1325-1335. J Am Geriatr Soc. 2017 Sep 05. Kidney Int Rep. 2018 Jan;3(1):211-215. Epub 2017-08-31. Arterioscler Thromb Vasc Biol. 2017 Aug 24. Am Heart J. 2017 Dec;194:25-38. Epub 2017-08-24. Hypertension. 2017 Aug;70(2):435-443. Epub 2017-07-03. Eur Heart J Qual Care Clin Outcomes. 2017 Jul 01;3(3):192-197. J Am Geriatr Soc. 2017 May 26. Clin Cardiol. 2017 May 19. Am J Hypertens. 2017 Apr 24. J Am Heart Assoc. 2017 Apr 11;6(4). Epub 2017-04-11. Am J Hypertens. 2017 Apr 01;30(4):400-408. Clin J Am Soc Nephrol. 2017 Mar 02. Kidney Int. 2017 Jan 27. Clin J Am Soc Nephrol. 2017 Jan 06;12(1):60-68. Epub 2016-11-10. J Am Geriatr Soc. 2016 Dec 30. J Am Geriatr Soc. 2016 Nov 12. J Am Coll Cardiol. 2016 Aug 9;68(6):666-8. Clin J Am Soc Nephrol. 2016 Aug 3. BMC Nephrol. 2015;16(1):211. Epub 2015-12-11. J Am Heart Assoc. 2016;5(7). Epub 2016-07-22. Int J Cardiol. 2016 Jul 15;215:417-21. Epub 2016-04-14. JAMA Cardiol. 2016 Jul 6. How Well Do Stroke Risk Scores Predict Hemorrhage in Patients With Atrial Fibrillation? Am J Cardiol. 2016 Jun 15. J Hosp Med. 2016 Jun;11(6):432-4. Epub 2016-02-01. Circ Arrhythm Electrophysiol. 2016 Jun;9(6). Am J Kidney Dis. 2016 May 18. J Am Coll Cardiol. 2016 May 10;67(18):2118-30. J Am Soc Nephrol. 2016 May 5. J Am Coll Cardiol. 2014 Apr 1;63(12):1230-8. Epub 2013-11-15. Nephrol Dial Transplant. 2016 Mar 23. Med Care. 2016 Feb 25. BMC Cardiovasc Disord. 2016;16(1):35. Epub 2016-02-17. PLoS ONE. 2016;11(2):e0148189. Epub 2016-02-03. Am J Kidney Dis. 2016 Jan 29. BMC Nephrol. 2016;17(1):13. Epub 2016-01-28. J Am Coll Cardiol. 2016 Jan 26;67(3):239-47. Am J Med. 2016 Jan 18. Clin Cardiol. 2015 Dec 31. J Am Soc Nephrol. 2015 Nov 24. J Hypertens. 2015 Nov 21. Thromb Res. 2015 Nov 10. Thromb Res. 2015 Oct 15. Am J Cardiol. 2015 Sep 10. Int J Epidemiol. 2015 Aug 14. Am J Kidney Dis. 2015 Aug;66(2):266-73. Epub 2015-03-17. Am Heart J. 2015 Aug;170(2):400-8. Epub 2015-05-02. J Am Soc Nephrol. 2015 Jul 9. J Am Soc Nephrol. 2015 Jul 1. Am Heart J. 2015 Jul;170(1):141-8, 148.e1. Epub 2015-04-01. Circ Heart Fail. 2015 Jul;8(4):702-8. Epub 2015-05-18. J Am Coll Cardiol. 2015 Jun 30;65(25):2691-8. Circ Cardiovasc Qual Outcomes. 2015 Jun 9. J Am Heart Assoc. 2015;4(6). Epub 2015-06-02. Am J Med. 2015 Jun;128(6):591-600. Epub 2014-12-30. Eur J Cardiothorac Surg. 2015 May;47(5):e193-8. J Am Coll Cardiol. 2015 Apr 14;65(14):1411-20. J Am Soc Nephrol. 2015 Apr;26(4):946-56. Epub 2014-10-02. Clin Chim Acta. 2015 Feb 12;444C:149-153. Epub 2015-2-12. Am J Kidney Dis. 2015 Feb;65(2):267-74. Epub 2014-10-11. Circ Arrhythm Electrophysiol. 2015 Feb;8(1):49-58. Epub 2014-11-20. Circulation. 2015 Jan 27;131(4):e29-322. Epub 2014-12-17. Am J Cardiol. 2015 Jan 1;115(1):40-6. Epub 2014-10-12. Am Heart J. 2015 Jan;169(1):149-54. Epub 2014-10-25. Hypertension. 2015 Jan;65(1):93-100. Epub 2014-10-06. J Am Heart Assoc. 2014 Dec;3(6):e001097. Epub 2014-12-03. Am J Nephrol. 2014;40(5):399-407. Epub 2014-11-11. Author(s): Wood AR; Esko T; Yang J; Vedantam S; Pers TH; Gustafsson S; Chu AY; Estrada K; Luan J; Kutalik Z; Amin N; Buchkovich ML; Croteau-Chonka DC; Day FR; Duan Y; Fall T; Fehrmann R; Ferreira T; Jackson AU; Karjalainen J; Lo KS; Locke AE; Mägi R; Mihailov E; Porcu E; Randall JC; Scherag A; Vinkhuyzen AA; Westra HJ; Winkler TW; Workalemahu T; Zhao JH; Absher D; Albrecht E; Anderson D; Baron J; Beekman M; Demirkan A; Ehret GB; Feenstra B; Feitosa MF; Fischer K; Fraser RM; Goel A; Gong J; Justice AE; Kanoni S; Kleber ME; Kristiansson K; Lim U; Lotay V; Lui JC; Mangino M; Mateo Leach I; Medina-Gomez C; Nalls MA; Nyholt DR; Palmer CD; Pasko D; Pechlivanis S; Prokopenko I; Ried JS; Ripke S; Shungin D; Stancáková A; Strawbridge RJ; Sung YJ; Tanaka T; Teumer A; Trompet S; van der Laan SW; van Setten J; Van Vliet-Ostaptchouk JV; Wang Z; Yengo L; Zhang W; Afzal U; Arnlöv J; Arscott GM; Bandinelli S; Barrett A; Bellis C; Bennett AJ; Berne C; Blüher M; Bolton JL; Böttcher Y; Boyd HA; Bruinenberg M; Buckley BM; Buyske S; Caspersen IH; Chines PS; Clarke R; Claudi-Boehm S; Cooper M; Daw EW; De Jong PA; Deelen J; Delgado G; Denny JC; Dhonukshe-Rutten R; Dimitriou M; Doney AS; Dörr M; Eklund N; Eury E; Folkersen L; Garcia ME; Geller F; Giedraitis V; Go AS; Grallert H; Grammer TB; Gräßler J; Grönberg H; de Groot LC; Groves CJ; Haessler J; Hall P; Haller T; Hallmans G; Hannemann A; Hartman CA; Hassinen M; Hayward C; Heard-Costa NL; Helmer Q; Hemani G; Henders AK; Hillege HL; Hlatky MA; Hoffmann W; Hoffmann P; Holmen O; Houwing-Duistermaat JJ; Illig T; Isaacs A; James AL; Jeff J; Johansen B; Johansson Å; Jolley J; Juliusdottir T; Junttila J; Kho AN; Kinnunen L; Klopp N; Kocher T; Kratzer W; Lichtner P; Lind L; Lindström J; Lobbens S; Lorentzon M; Lu Y; Lyssenko V; Magnusson PK; Mahajan A; Maillard M; McArdle WL; McKenzie CA; McLachlan S; McLaren PJ; Menni C; Merger S; Milani L; Moayyeri A; Monda KL; Morken MA; Müller G; Müller-Nurasyid M; Musk AW; Narisu N; Nauck M; Nolte IM; Nöthen MM; Oozageer L; Pilz S; Rayner NW; Renstrom F; Robertson NR; Rose LM; Roussel R; Sanna S; Scharnagl H; Scholtens S; Schumacher FR; Schunkert H; Scott RA; Sehmi J; Seufferlein T; Shi J; Silventoinen K; Smit JH; Smith AV; Smolonska J; Stanton AV; Stirrups K; Stott DJ; Stringham HM; Sundström J; Swertz MA; Syvänen AC; Tayo BO; Thorleifsson G; Tyrer JP; van Dijk S; van Schoor NM; van der Velde N; van Heemst D; van Oort FV; Vermeulen SH; Verweij N; Vonk JM; Waite LL; Waldenberger M; Wennauer R; Wilkens LR; Willenborg C; Wilsgaard T; Wojczynski MK; Wong A; Wright AF; Zhang Q; Arveiler D; Bakker SJ; Beilby J; Bergman RN; Bergmann S; Biffar R; Blangero J; Boomsma DI; Bornstein SR; Bovet P; Brambilla P; Brown MJ; Campbell H; Caulfield MJ; Chakravarti A; Collins R; Collins FS; Crawford DC; Cupples LA; Danesh J; de Faire U; den Ruijter HM; Erbel R; Erdmann J; Eriksson JG; Farrall M; Ferrannini E; Ferrières J; Ford I; Forouhi NG; Forrester T; Gansevoort RT; Gejman PV; Gieger C; Golay A; Gottesman O; Gudnason V; Gyllensten U; Haas DW; Hall AS; Harris TB; Hattersley AT; Heath AC; Hengstenberg C; Hicks AA; Hindorff LA; Hingorani AD; Hofman A; Hovingh GK; Humphries SE; Hunt SC; Hypponen E; Jacobs KB; Jarvelin MR; Jousilahti P; Jula AM; Kaprio J; Kastelein JJ; Kayser M; Kee F; Keinanen-Kiukaanniemi SM; Kiemeney LA; Kooner JS; Kooperberg C; Koskinen S; Kovacs P; Kraja AT; Kumari M; Kuusisto J; Lakka TA; Langenberg C; Le Marchand L; Lehtimäki T; Lupoli S; Madden PA; Männistö S; Manunta P; Marette A; Matise TC; McKnight B; Meitinger T; Moll FL; Montgomery GW; Morris AD; Morris AP; Murray JC; Nelis M; Ohlsson C; Oldehinkel AJ; Ong KK; Ouwehand WH; Pasterkamp G; Peters A; Pramstaller PP; Price JF; Qi L; Raitakari OT; Rankinen T; Rao DC; Rice TK; Ritchie M; Rudan I; Salomaa V; Samani NJ; Saramies J; Sarzynski MA; Schwarz PE; Sebert S; Sever P; Shuldiner AR; Sinisalo J; Steinthorsdottir V; Stolk RP; Tardif JC; Tönjes A; Tremblay A; Tremoli E; Virtamo J; Vohl MC; Electronic Medical Records and Genomics (eMEMERGEGE) Consortium; MIGen Consortium; PAGEGE Consortium; LifeLines Cohort Study; Amouyel P; Asselbergs FW; Assimes TL; Bochud M; Boehm BO; Boerwinkle E; Bottinger EP; Bouchard C; Cauchi S; Chambers JC; Chanock SJ; Cooper RS; de Bakker PI; Dedoussis G; Ferrucci L; Franks PW; Froguel P; Groop LC; Haiman CA; Hamsten A; Hayes MG; Hui J; Hunter DJ; Hveem K; Jukema JW; Kaplan RC; Kivimaki M; Kuh D; Laakso M; Liu Y; Martin NG; März W; Melbye M; Moebus S; Munroe PB; Njølstad I; Oostra BA; Palmer CN; Pedersen NL; Perola M; Pérusse L; Peters U; Powell JE; Power C; Quertermous T; Rauramaa R; Reinmaa E; Ridker PM; Rivadeneira F; Rotter JI; Saaristo TE; Saleheen D; Schlessinger D; Slagboom PE; Snieder H; Spector TD; Strauch K; Stumvoll M; Tuomilehto J; Uusitupa M; van der Harst P; Völzke H; Walker M; Wareham NJ; Watkins H; Wichmann HE; Wilson JF; Zanen P; Deloukas P; Heid IM; Lindgren CM; Mohlke KL; Speliotes EK; Thorsteinsdottir U; Barroso I; Fox CS; North KE; Strachan DP; Beckmann JS; Berndt SI; Boehnke M; Borecki IB; McCarthy MI; Metspalu A; Stefansson K; Uitterlinden AG; van Duijn CM; Franke L; Willer CJ; Price AL; Lettre G; Loos RJ; Weedon MN; Ingelsson E; O'Connell JR; Abecasis GR; Chasman DI; Goddard ME; Visscher PM; Hirschhorn JN; Frayling TM. Nat Genet. 2014 Nov;46(11):1173-86. Epub 2014-10-05. J Am Soc Nephrol. 2014 Oct;25(10):2327-34. Epub 2014-05-29. J Am Heart Assoc. 2014 Oct;3(5):e001303. Epub 2014-10-20. J Am Coll Cardiol. 2014 Sep 9;64(10):985-94. J Am Geriatr Soc. 2014 Sep;62(9):1623-9. Epub 2014-08-14. Clin Cardiol. 2014 Sep;37(9):546-51. Epub 2014-06-30. Am J Cardiol. 2014 Aug 15;114(4):583-6. Epub 2014-06-05. Eur Heart J. 2014 Aug 14;35(31):2115-22. Epub 2013-12-04. Am Heart J. 2014 Aug;168(2):160-7. Epub 2014-04-18. J Am Coll Cardiol. 2014 Jul 22;64(3):247-52. J Am Med Inform Assoc. 2014 Jul-Aug;21(4):596-601. Epub 2014-05-12. JACC Cardiovasc Imaging. 2014 Jul;7(7):690-700. Epub 2014-06-18. J Am Coll Cardiol. 2014 Jun 3;63(21):2249-57. Epub 2014-04-02. Circulation. 2014 May 20;129(20):2005-12. Epub 2014-03-29. J Am Coll Cardiol. 2014 May 6;63(17):1715-23. Epub 2014-02-12. Am Heart J. 2014 May;167(5):735-42.e2. Epub 2014-02-17. Curr Opin Nephrol Hypertens. 2014 May;23(3):275-82. Hypertension. 2014 Apr;63(4):878-85. Epub 2013-11-15. Nephrol Dial Transplant. 2014 Apr;29(4):864-72. Epub 2014-02-09. Neurology. 2014 Mar 25;82(12):1033-7. Epub 2014-02-14. J Am Soc Nephrol. 2014 Feb;25(2):349-60. Epub 2013-10-24. Am J Kidney Dis. 2014 Feb;63(2):236-43. Epub 2013-10-30. Circulation. 2014 Jan 21;129(3):e28-e292. Epub 2013-12-18. J Am Coll Cardiol. 2014 Jan 7-14;63(1):33-9. Epub 2013-09-27. Am Heart J. 2014 Jan;167(1):86-92. Epub 2013-10-23. BMC Nephrol. 2013;14:268. Epub 2013-12-05. Am J Cardiol. 2013 Nov;112(9):1427-32. BMC Nephrol. 2013;14:229. Epub 2013-10-22. Am J Nephrol. 2013;38(4):307-15. Epub 2013-10-04. JACC Heart Fail. 2013 Oct;1(5):445-53. Epub 2013-09-11. Circ Cardiovasc Qual Outcomes. 2013 Sep 1;6(5):525-33. Epub 2013-09-10. J Am Coll Cardiol. 2013 Aug 27;62(9):789-98. Epub 2013 May 30. Circ Cardiovasc Qual Outcomes. 2013 Jul;6(4):461-9. Epub 2013-06-11. Circ Heart Fail. 2013 Jul;6(4):635-46. Epub 2013 May 24. J Am Heart Assoc. 2013 Jun;2(3):e000250. Am J Kidney Dis. 2013 May;61(5):701-9. Epub 2013 Jan 4. Am J Cardiol. 2013 May 1;111(9):1324-9. Epub 2013 Feb 1. Am J Med. 2013 May;126(5):393-400. Epub 2013 Mar 14. Am Heart J. 2013 May;165(5):800-8, 808.e1-2. Epub 2013 Apr 2. Circ Cardiovasc Qual Outcomes. 2013 May;6(3):333-42. J Am Coll Cardiol. 2013 Mar 5;61(9):957-70. Epub 2013 Jan 23. Clin J Am Soc Nephrol. 2013 Mar;8(3):355-62. Epub 2013 Feb 14. J Card Fail. 2013 Mar;19(3):176-82. Circulation. 2013 Feb 5;127(5):569-74. Epub 2012 Dec 28. Am J Cardiol. 2013 Feb 1;111(3):432-8. Epub 2012 Nov 22. J Am Heart Assoc. 2013 Feb 1;2(1):e005694. Am J Kidney Dis. 2013 Feb;61(2):219-27. Epub 2012 Dec 1. J Am Coll Cardiol. 2013 Jan 22;61(3):295-301. Epub 2012 Dec 12. Circulation. 2013 Jan 15;127(2):224-32. Epub 2012 Dec 3. J Am Geriatr Soc. 2013 Jan;61(1):26-33. Circulation. 2013 Jan 1;127(1):e6-e245. Epub 2012 Dec 12. Am J Cardiol. 2012 Dec 15;110(12):1735-41. Epub 2012 Sep 14. Contemp Clin Trials. 2012 Nov;33(6):1238-44. Epub 2012 Jul 27. Circ Cardiovasc Qual Outcomes. 2012 Nov;5(6):e78-85. Int J Biostat. 2012 Oct 31;8(1):30. Stroke. 2012 Oct;43(10):2788-90. Epub 2012 Aug 7. J Am Soc Nephrol. 2012 Oct;23(10):1725-34. Epub 2012 Aug 30. Heart Rhythm. 2012 Sep;9(9):1403-8. Epub 2012 Apr 24. Arch Ophthalmol. 2012 Sep 1;130(9):1136-44. Stroke. 2012 Jul;43(7):1795-9. Epub 2012 Apr 26. Clin J Am Soc Nephrol. 2012 May;7(5):844-50. Epub 2012 Mar 22. Clin J Am Soc Nephrol. 2012 May;7(5):851-5. Epub 2012 Mar 22. Clin J Am Soc Nephrol. 2012 May;7(5):856-60. Epub 2012 Mar 22. Arch Intern Med. 2012 Apr 23;172(8):631-3. J Am Coll Cardiol. 2012 Jan 10;59(2):143-9. Circulation. 2012 Jan 3;125(1):e2-e220. Epub 2011 Dec 15. Pharmacoepidemiol Drug Saf. 2012 Jan;21 Suppl 1:282-90. Am J Manag Care. 2011 Nov;17(11):737-45. J Clin Invest. 2011 Nov;121(11):4393-408. Epub 2011 Oct 10. Am Heart J. 2011 Oct;162(4):606-612.e1. Am J Manag Care. 2011 Sep;17(9):617-24. Circulation. 2011 Jul 19;124(3):363-72. Epub 2011 Jun 27. J Am Coll Cardiol. 2011 Jul 19;58(4):395-401. BMC Med. 2011 Jun 24;9:78. J Am Geriatr Soc. 2011 May;59(5):916-22. Epub 2011 May 3. Am J Nephrol. 2011;33(6):477-84. Epub 2011 Apr 27. Clin J Am Soc Nephrol. 2011 Feb;6(2):248-56. Epub 2010 Oct 7. Circulation. 2011 Feb 1;123(4):e18-e209. Epub 2010 Dec 15. Ann Intern Med. 2011 Jan 4;154(1):1-11. Epub 2010 Nov 1. J Card Fail. 2011 Jan;17(1):17-23. Circ Cardiovasc Qual Outcomes. 2010 Nov;3(6):624-31. Epub 2010 Oct 19. Circulation. 2010 Oct 12;122(15):1478-87. Epub 2010 Sep 27. Chest. 2010 Oct;138(4):1020; author reply 1020-1. Hypertension. 2010 Sep;56(3):518-24. Epub 2010 Jul 26. Am Heart J. 2010 Jun;159(6):1102-7. Circ Cardiovasc Interv. 2010 Jun 1;3(3):230-5. Epub 2010 May 4. Arch Intern Med. 2010 May 10;170(9):759-64. Circ Cardiovasc Qual Outcomes. 2010 May;3(3):303-8. Epub 2010 Mar 30. Circ Cardiovasc Qual Outcomes. 2010 May;3(3):261-6. Epub 2010 Apr 20. Am J Hypertens. 2010 Mar;23(3):282-9. Epub 2009 Dec 17. Kidney Int. 2010 Mar;77(6):536-42. Epub 2009 Dec 30. J Oral Maxillofac Surg. 2010 Feb;68(2):243-53. Epub 2009 Sep 24. J Am Soc Nephrol. 2010 Feb;21(2):374-80. Epub 2009 Oct 29. Am J Hematol. 2010 Jan;85(1):57-61. Circ Cardiovasc Qual Outcomes. 2009 Nov;2(6):663-70. Kidney Int. 2009 Oct;76(8):893-9. Epub 2009 Jul 29. Clin J Am Soc Nephrol. 2009 Aug;4(8):1302-11. Epub 2009 Jun 18. Circ Cardiovasc Qual Outcomes. 2009 Jul;2(4):297-304. Epub 2009 Jun 9. J Am Acad Dermatol. 2009 Jul;61(1):66-72. Epub 2009 May 21. N Engl J Med. 2009 May 14;360(20):2127-9. Clin J Am Soc Nephrol. 2009 May;4(5):891-8. Epub 2009 Apr 30. Circulation. 2009 Mar 17;119(10):1363-9. Epub 2009 Mar 2. Arch Intern Med. 2008 Dec 8;168(22):2415-21. Circ Cardiovasc Qual Outcomes. 2008 Nov;1(2):138-47. Contemp Clin Trials. 2008 Sep;29(5):646-53. Epub 2008 Mar 4. Expert Rev Cardiovasc Ther. 2008 Sep;6(8):1043-5. Clin J Am Soc Nephrol. 2008 Sep;3(5):1487-93. Epub 2008 Jul 23. Kidney Int. 2008 Jul;74(1):101-7. Epub 2008 Apr 2. Am J Public Health. 2008 Jul;98(7):1209-14. Epub 2008 May 29. Stroke. 2008 Jun;39(6):1901-10. Epub 2008 Apr 17. Am J Emerg Med. 2007 Nov;25(9):996-1003. Am J Kidney Dis. 2007 Oct;50(4):552-8. Am J Cardiol. 2007 Aug 15;100(4):690-6. Epub 2007 Jun 26. Am J Med. 2007 Aug;120(8):700-5. Epub 2007 May 24. Kidney Int. 2007 Jul;72(2):208-12. Epub 2007 May 16. Pharmacoepidemiol Drug Saf. 2007 Jun;16(6):620-6. Circulation. 2007 Feb 6;115(5):e69-171. Epub 2006 Dec 28. J Am Soc Nephrol. 2006 Oct;17(10):2892-9. Epub 2006 Sep 7. J Am Geriatr Soc. 2006 Aug;54(8):1231-6. Circulation. 2006 Jul 11;114(2):168-82. Epub 2006 Jun 26. Circulation. 2006 Jun 13;113(23):2713-23. Epub 2006 Jun 5. Curr Opin Nephrol Hypertens. 2006 May;15(3):296-302. J Clin Endocrinol Metab. 2006 Apr;91(4):1357-63. Epub 2006 Jan 24. J Am Soc Nephrol. 2005 Dec;16(12):3711-20. Epub 2005 Oct 19. Circulation. 2005 Sep 20;112(12):1687-91. Epub 2005 Sep 12. J Am Soc Nephrol. 2005 Sep;16(9):2778-88. Epub 2005 Jul 20. Prog Cardiovasc Dis. 2005 Sep-Oct;48(2):108-24. Ann Emerg Med. 2005 Jul;46(1):14-21. Anticoagulants for stroke prevention in atrial fibrillation: what is the right rate and where do we go from here? Nat Clin Pract Cardiovasc Med. 2005 May;2(5):226-7. Am J Geriatr Cardiol. 2005 Mar-Apr;14(2):56-61. Ann Intern Med. 2004 Nov 16;141(10):745-52. Am J Cardiol. 2004 Nov 1;94(9):1147-52. Pharmacoepidemiol Drug Saf. 2004 Oct;13(10):661-7. Manag Care. 2004 Sep;13(9 Suppl):20-5. Am J Manag Care. 2004 Apr;10(3 Suppl):S58-65. J Am Coll Cardiol. 2004 Feb 4;43(3):429-35. Arch Intern Med. 2003 Sep 22;163(17):2052-7. N Engl J Med. 2003 Sep 11;349(11):1019-26. Pediatrics. 2003 Sep;112(3 Pt 1):620-7. J Am Soc Nephrol. 2003 Jul;14(7 Suppl 2):S148-53. J Thromb Thrombolysis. 2003 Feb;15(1):41-6. Pharmacoepidemiol Drug Saf. 2001 Aug-Sep;10(5):373-7. J Am Coll Cardiol. 2001 Aug;38(2):478-85. Clin Geriatr Med. 2001 Feb;17(1):131-47. J Am Coll Cardiol. 2000 Sep;36(3):706-12. Am J Med. 2000 Feb 15;108(3):216-26. Ann Intern Med. 1999 Dec 21;131(12):927-34. Outcome following acute myocardial infarction: are differences among physician specialties the result of quality of care or case mix? Arch Intern Med. 1999 Jul 12;159(13):1429-36. Should the electrocardiogram be used to guide therapy for patients with left bundle-branch block and suspected myocardial infarction? Ann Intern Med. 1998 Nov 1;129(9):690-7.